Not the ones to be left behind, Apple throughout the years have been seen playing second fiddle to the all powerful and overall dominating Android, but with the launch of its iOS7 last year, the California based company has once again started to re-iterate its name and is making its presence felt running on most of today’s Apple devices. It did happen to tick off a few Android users who felt that most of iOS 7’s features had been borrowed from its Google counterpart and this debate still manages to rage even further. 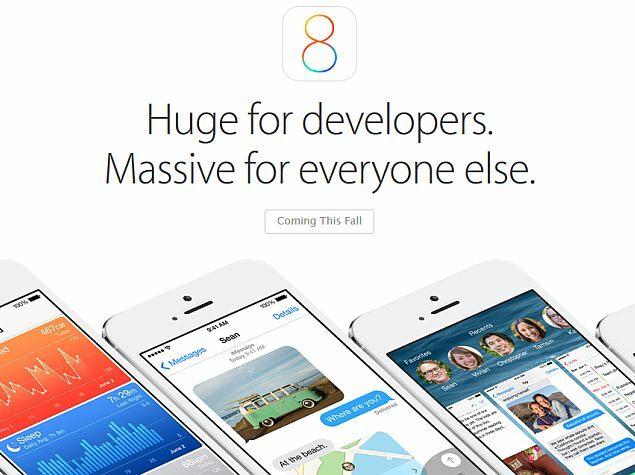 Even though smoke from that fire still rages on, Apple couldn’t wait to start another one within no time with their latest announcement of the highly awaited iOS 8. For those of you who missed out on Apple’s live stream at WWDC 2014, we have a complete round up of what the new OS has to offer. Let us now take a closer look at what new additions and features iOS 8 has to bring to the party and how are they going to stand toe-to-toe with the little green robot. Even though Apple are not known for giving their users a taste of free customization like its Android counterpart, it has decided to go with it this time. Previously there was no option for an Apple user to change, customize or replace the custom Apple keyboard with any other 3rd party app but with iOS 8, things are about to change…..hopefully for the good! The news came in as a big surprise and for some it was actually a huge cry of relief especially for those who were tired of using the same old keyboard through out the years. The new iOS 8 keyboard is set to feature “predictive text” made famous by Google and many of the other 3rd party keyboard apps. As far as the 3rd party apps are concerned, we did manage to come across a feature similar to Swype working on iOS 8 that looked quite similar to the one found in SwiftKey. When it comes to Notification bars, Android was among the first ones to introduce it. A few years back, Android’s notifications panel saw a major redesign back during Ice Cream Sandwich and it only got better in Jelly Bean. Apple, still being somewhat new to the concept of notifications (Notification Center debuted back in iOS 5), is now finally introducing new actionable notifications for iOS 8 that would be fully interactive. Soon, users will be able to interact with their notifications while inside another app, without having to jump inside another app to respond or address a notification. 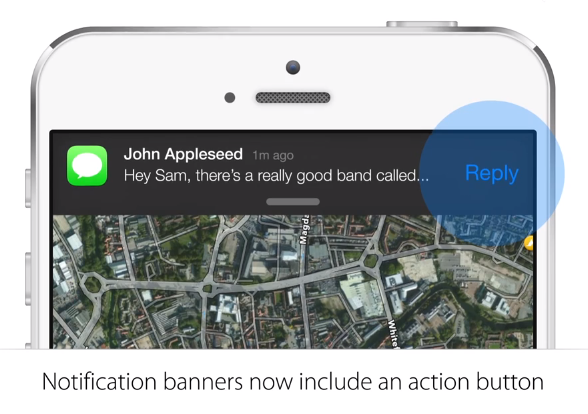 Sliding down a notification banner will display actionable items, giving users the ability to reply to SMS messages, address calendar events, or like a comment on Facebook. Even though its much more similar to the one found in most of Android devices, we still prefer to stick with our Google counterpart. Ever since Google integrated its Hangouts app with the default Android SMS client, people have definitely opted to switch their preferences from the stock messaging client. 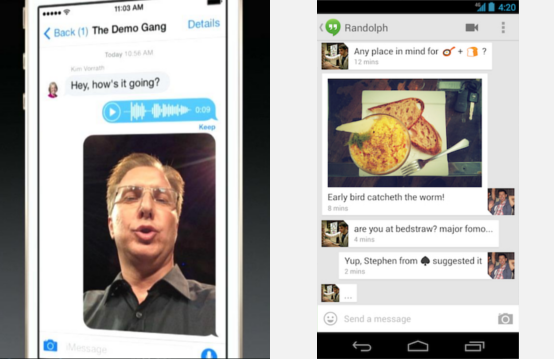 We also saw Hangouts gain a fare amount of fan following on iOS devices as well and with the introduction of iOS 8 things seem to get even better with some of the new added features which include location sharing with friends and family as well as recording and sending short video or voice messages when you don’t feel like typing those long tedious messages while at work or on the go. Another new feature that has been added to the Hangouts app on iOS is that whatever messages you record or type can be set to a self-destruct mode, a feature similar to the one found in the most used messaging client these days, Snapchat. The update also brings with it added new options for group messaging so users can finally leave group chats, or rename them something that we are accustomed at doing in most of the messaging clients these days viz Whatsapp, Viber etc. Apple is also making it extremely easy to receive calls and messages from your phone on your OSX computer. Of course, you can do this right now using Hangouts and it works whether you’re using OSX or Windows. However, we will admit, Apple’s implementation is nice in that it works right out of the box with little-to-no setup so credit needs to be given where credit is actually do. They say sharing is caring. Well keeping this notion into consideration, Apple have eventually decided to introduce this much awaited feature that had long been eluded from its predecessors. 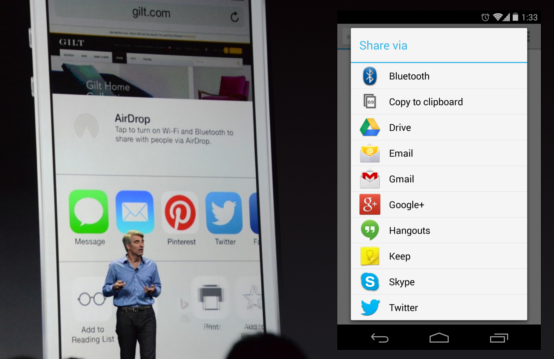 iOS 8 along with a host of other features is all set to introduce what they have termed as “extensions” for apps. The feature is similar to the one found in Android in which apps can be accessed and shared using 3rd party clients. For example sharing a YouTube video directly to a Whatsapp contact etc. Even though the sharing feature has been present in Android since a long time now, this would most certainly be a welcome addition to Apple’s next big OS update. If you have used the Moto X, you must probably be aware of the different voice commands that come along with it. 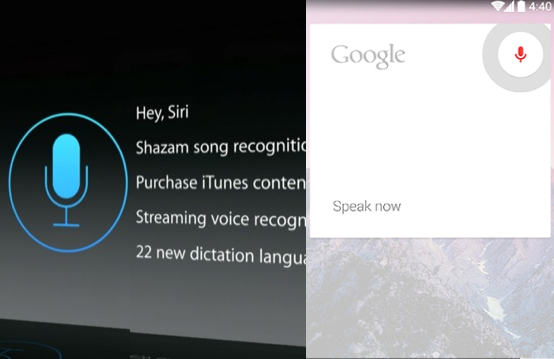 Apple have significantly updated their voice assistant Siri and have added a host of new features to her as well. One of the most significant ones being the all new voice commands similar to the ones found in the Moto X and most of the Google stock phones. The best part about the new and improved voice commands feature is the fact that you don’t need to even touch the device while giving the commands. Apple is adding this breakthrough new feature in Siri for iOS 8, allowing users to speak the command, “Hey Siri,” (much like “Okay Google Now”) and further direct the phone to perform searches, look for places, purchase songs from iTunes, queue up Shazam to identify a song and much much more. Overall, these changes do tend to give iOS 8 a completely new and refreshing overhaul nd would most certainly be a welcome feature to all supported devices once the update starts rolling out this fall. With the iPhone 6 all set to be announced on September 9th along with the latest iPad and iPod variants, we would most probably be seeing the new update rolling out with them. What do you guys think about Apple’s latest prodigal son? Does it finally have what it takes to stand toe-to-toe with its Android counterpart? Only time would tell. Feel free to share in your thoughts in our comments section below. Cheers ! !